Phi Phi Party Crew is the tour that regularly goes out of Phi Phi Island having a blast. The chief requisite is having fun so everything is up for grabs as you go to beaches on Phi Phi Don and Ley, play games, dance to some tunes, swim and maybe drink a little bit. This is pure hedonism at it's best and not to be missed. The Phi Phi Party Crew organize through this telephone number +66 8 6273 0906, [email protected] and these Phi Phi Island based companies; Dojo Bar, Sports Bar, Relax Bar, Spider Monkey, Harmony Tours. The Phi Phi Party Crew is a loosely connected group of people who get to organize regular events through the year. The Phi Phi Party Crew is the perfect way of getting to know a few people on the island if you have just arrived and want to settle in. Hanging out at the bars and Loh Dalum beach is an ideal way of understanding how it works as each event is unique. So one event might involve the Pirate boat, (a converted fishing boat) and kayaks, the next might be about speedboats and the next again might be about every type of water born ship going. Similarly the make-up of the group might be organized by the Dojo Bar team or the Relax bar. This is a great happening in perpetual motion, always re-inventing itself with the main objective of having maximum fun. Added to this mix is the continual change of weather, wind and tide and opportunity as not all beaches are in perfect condition all the time. Maya Bay is where Leonardo Di Caprio shot his movie 'The Beach' and the bay is large enough to take a big team over to Phi Phi Ley. This is a superb location with awe inspiring views of the cliffs and aquamarine sea. Beers and whiskey buckets are drank and the perfection of the location melts into your soul. These trips to Maya are perfect. Phi Phi Party Crew has it's main weapon of pleasure, the sea. Jumping in from the boat's high decks, swimming in the cooling after noon sun, snorkelling and kayaking make for some excellent exercise. Next comes the music which is supplied by the top DJ on the island. These rest is done with a liberal dose of hooch and some fun drinking games which ensure every event goes off with a bang. 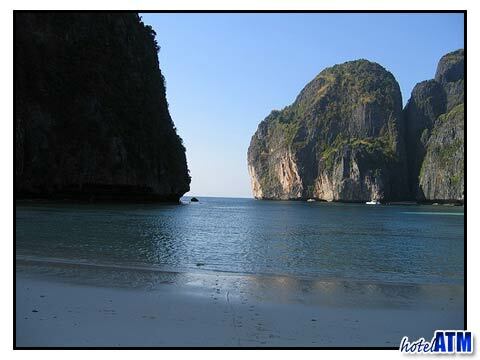 You are going to need a resort, hotel or guesthouse to stay in Phi Phi Don Village. Popular names are PP Casita bungalows or JJ Bungalows , The White Guesthouse and Ivory PP guesthouse. If you love the social scene and want to see what's happening on Phi Phi look up the Phi Phi Party Crew for a hell of a time on the islands.